Catherine L. Owens is one of the most well-respected senior living experts in the industry. Throughout her career, Catherine has seen how seniors and their families can become overwhelmed while trying to make quality-of-life decisions. She found that they didn’t know the right questions to ask, and more importantly, how to ask the questions that would help them through the senior living decision process. Catherine set out to change all of that. Her passion for helping the aging population and their families inspired her to write “Be Your Own Hero,” a book outlining the senior living decision process and offering insights to those considering their options. 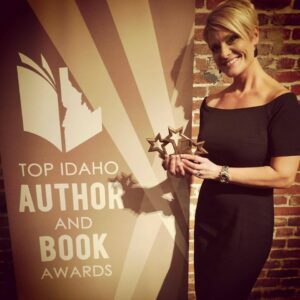 With her book, “Be Your Own Hero: Senior Living Decisions Simplified”, she has received many awards including the design; inside and out, as well as an Honorable Mention for Best New Author. While the accolades are wonderful, the greatest reward is seeing this book offer guidance and help to the families and individuals who seek her advice. Catherine speaks to audiences across the country about trends in the senior living industry, little-known senior resources, the right time to research senior living options, and the role that adult children often have in the process. 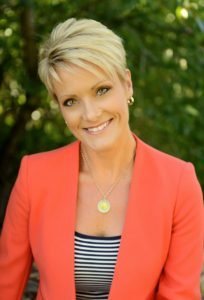 Her goal is to help seniors and their families make educated decisions when it comes to senior living and to help senior living communities provide the best information and customer service possible. Catherine hopes to debunk the myths surrounding senior living and to create a movement of knowledgeable and independent seniors who research their options early. Award honors women who have excelled in their field and made significant contributions to their industry. Top 10 Books (Nonfiction/Fiction) – Awarded to select books of exceptional quality in any nonfiction and fiction genre, criteria for this award includes: quality of content and design; success of the book, including other national, regional, and local awards received; and what makes the title unique in its genre. Best Cover Design (Nonfiction/Fiction) (ranked 1st, 2nd, 3rd) – Honoring books that have an outstanding cover design, criteria for this award include: aesthetic quality, uniqueness, and strength of title/subtitle. Best Interior Design (Nonfiction/Fiction) (ranked 1st, 2nd, 3rd) – An award based on exceptional interior design, the criteria for this award include: aesthetic quality, including typography and illustrations/graphic elements. Best New Author (Nonfiction/Fiction) – A prestigious award given to new authors who have published their first book in the last year, this award honors three outstanding nonfiction writers and three outstanding fiction writers. Criteria for this award includes: quality and expertise of the author, including writing skill, expertise in subject area, and the strength of his or her bio/resume; success rate of book(s); other national, regional, or local awards received; and the quality/production of the book submitted. honor descriptionTop 10 Books (Nonfiction/Fiction) – Awarded to select books of exceptional quality in any nonfiction and fiction genre, criteria for this award includes: quality of content and design; success of book, including other national, regional, and local awards received; and what makes the title unique in its genre. Award winning author and expert in senior living.